When I was in college, I enjoyed cooking and creating new delicacies which my family and friends relished. Back then I had a lot of time to experiment in the kitchen. But today things are different. After 6 years of marriage and a one-year-old who keeps me on my toes, it gets difficult to focus on cooking. I hardly get time to spend in the kitchen and even if I do, I would rather spend it with my husband and son than struggle in the kitchen. I can say that my affinity towards cooking has definitely taken a back seat. If not daily, we do eat out 2-3 times a week and I know it is not healthy. This made me look out for alternate options for lunch and dinner, which led to dinner subscription services. That is when I stumbled upon Gobble which offers best recipes into one pan dinner kits so that anyone can cook and make a gourmet meal with 1 pan in under 10 minutes. Read ahead to find more details about the Gobble dinner kits. With Gobble, we can say goodbye to grocery shopping, meal planning, meal prep and all that cleanup. Gobble chefs do all the work for you! The kit ingredients are carefully par-cooked and vacuum sealed in special packaging to preserve freshness, taste, and quality. Along with the ingredients, you will also receive a detailed recipe card with crystal clear instructions to guide you while cooking up your exquisite dinners. It's as simple as that! 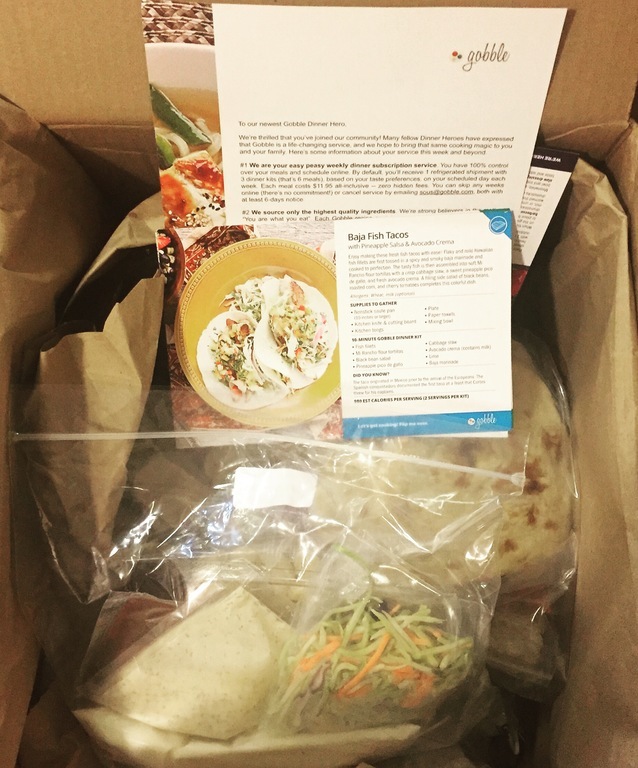 Gobble currently offers two subscription plans - 3 dinner kits for two people (6 meals per week) or 3 dinner kits for four people (12 meals per week). If you order 6 or more meals, it is priced at $11.95 per meal and if you order only 4 meals it is $13.95 per meal. 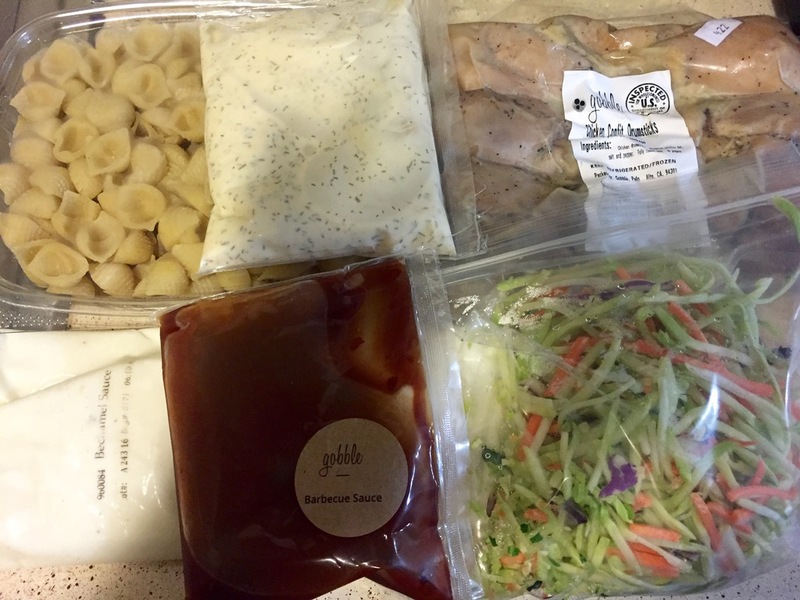 My Gobble dinner kit comprised of 3 dinner kits for two people which are $71.70 total without any hidden fees. 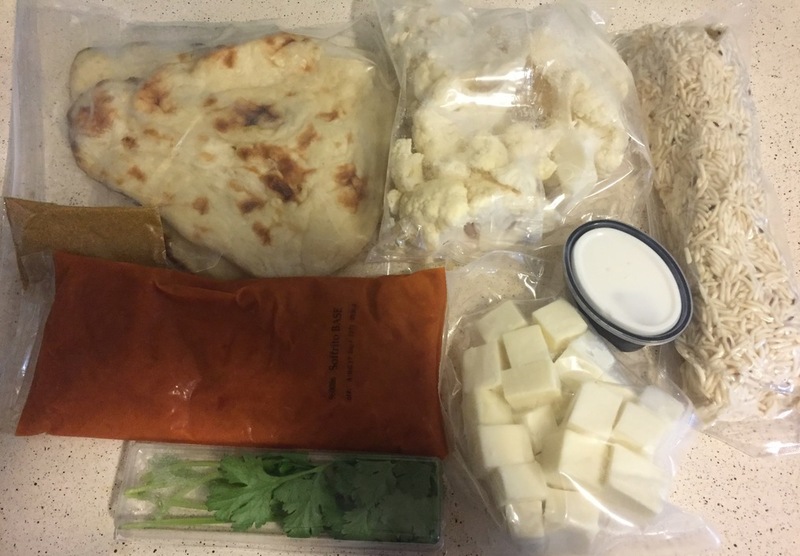 The dinner kit arrived on Wednesday when I wasn't home. But that was not an issue as the package was secure in the refrigerated box. As I opened the Gobble delivery box, it was filled with insulated liners and ice packs to keep the ingredients cold and fresh for several hours. The package was as fresh as I can expect it to be. I refrigerated the contents as soon as I received it to maintain its freshness. The three recipes I ordered were Barbecue Chicken with Mac n’ Cheese & Broccoli Slaw, Paneer & Cauliflower Tikka Masala and Baja Fish Tacos with Pineapple Salsa & Avocado Crema. All the three dishes were heavenly and of top-notch quality. We thoroughly enjoyed eating every bit of these dishes. But one thing which I need to mention is that I couldn't cook any meal in 10 minutes. It surely took more than the claimed time, say 20 minutes, which includes gathering all the supplies and cooking the meal. But I can oversee this as the output is incredible. 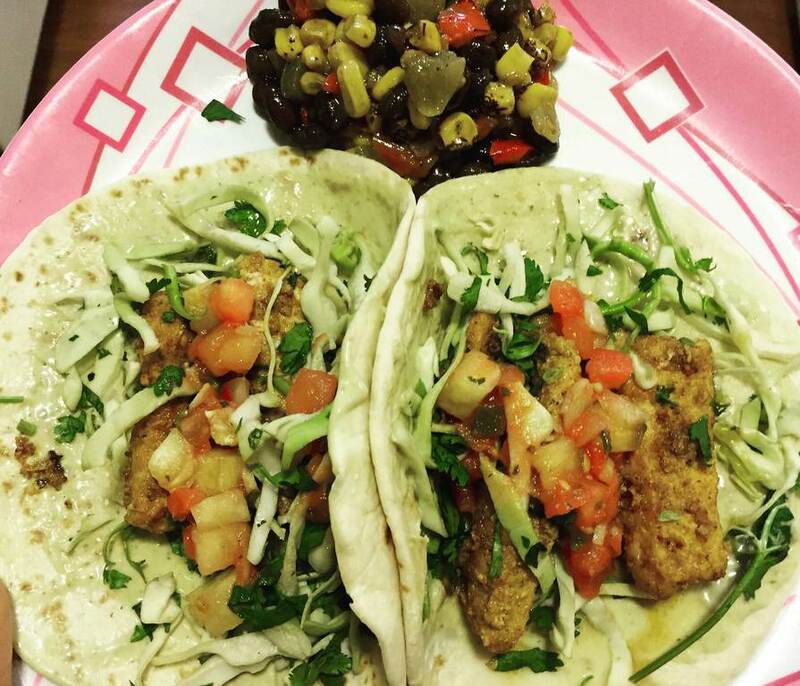 Baja Fish Tacos with Pineapple Salsa & Avocado Crema can be made with ease! 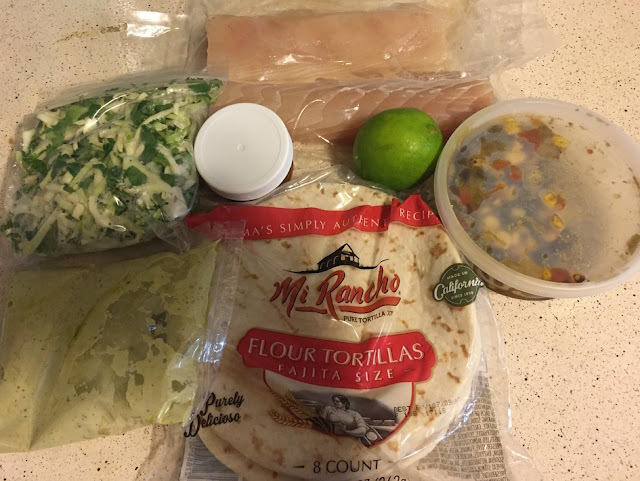 The fish was tasty, tortillas were soft, cabbage slaw was crispy, pineapple pica de gallo was sweet, the avocado cream was fresh and baja marinade was spicy. A filling side salad of black beans, roasted corn, and cherry tomatoes completes this colorful dish. 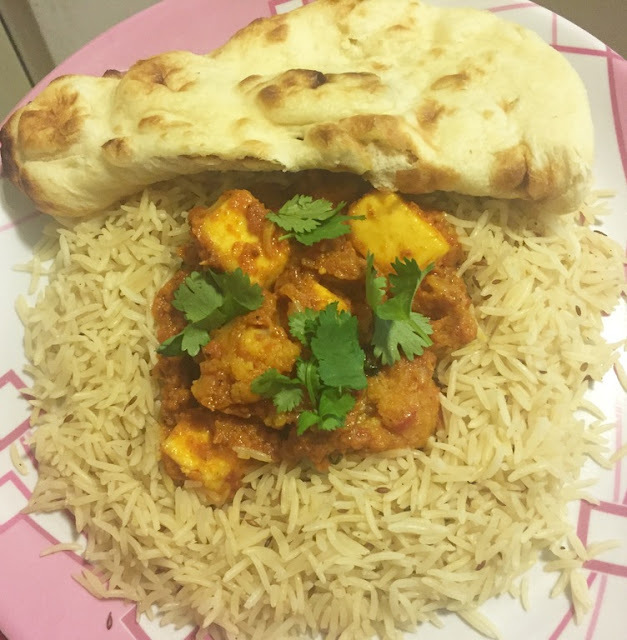 Paneer & Cauliflower Tikka Masala is a mix of roasted cauliflower and mild-flavored paneer cheese in authentic tikka masala sauce. This is served with a wholesome side of toasted naan and steamed basmati rice. It makes a flavorful and balanced vegetarian dinner. 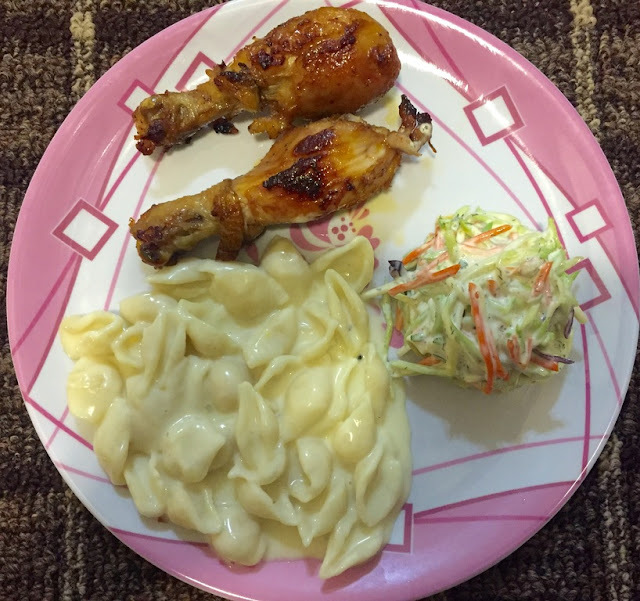 Barbeque Chicken with Mac n' Cheese & Broccoli Slaw is a perfect summertime dinner featuring tender chicken drumsticks slathered in a sweet and smokey barbecue sauce. You can enjoy it with creamy mac n' cheese and a crunchy broccoli slaw. This makes a yummy meal for your dinner. 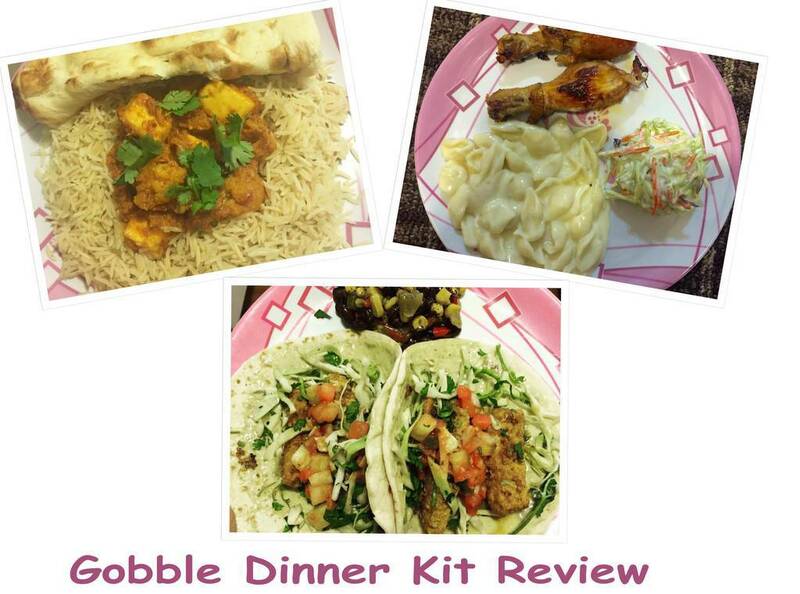 Overall, my experience with Gobble dinner kit has been nothing less than amazing. It offers restaurant quality meals with fresh and healthy ingredients. Being my first meal subscription service, I had my apprehensions but the prepped and perfect portions of Gobble dinner kits won me over. All the three dishes we tried were tantalizingly delicious. My husband and I enjoyed our dinners with Gobble and planning to have much more in the days to come. The only downside is that I couldn't cook it in 10 minutes otherwise Gobble is a total winner out there! If you wish to subscribe to Gobble dinner kits and whip up in the kitchen with #DinnerSolved, I have a good news for all Diva Likes readers! You can now get $50 off the first week. To redeem this offer, click on the link below and use the promo code. So what are you waiting for? Head to Gobble, take a look at the weekly menu and select what meals you'd like to receive. Disclosure: I received Gobble Dinner Kit at no cost to facilitate this review. All opinions stated are my own.